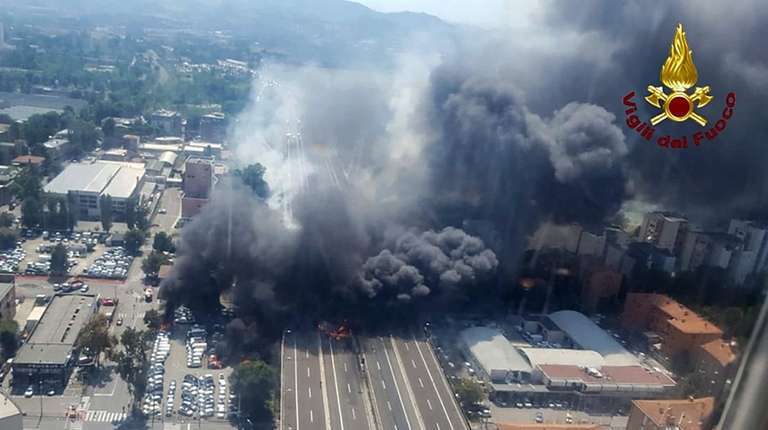 An Italian news agency reported the truck contained liquefied petroleum gas when it exploded on a highway near Bologna in northern Italy. 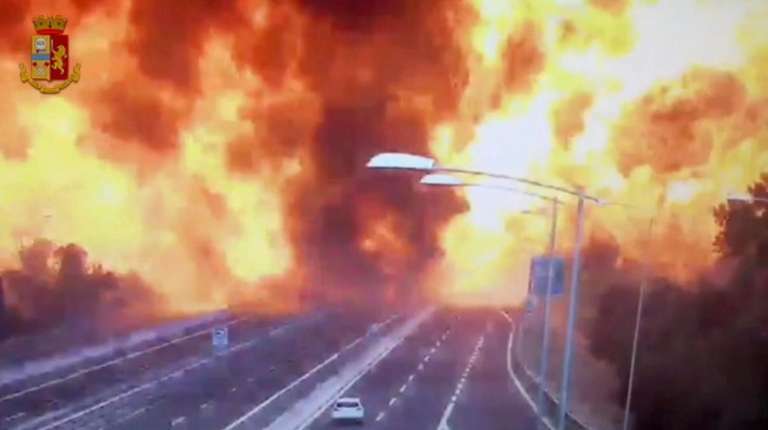 MILAN — A tanker truck carrying a highly flammable gas exploded Monday after rear-ending a stopped truck on a crowded highway near the northern Italian city of Bologna. At least two people were killed, up to 70 injured and part of the raised expressway collapsed in the fireball. A woman living about a half a mile from the blast site said the explosion caused panic because no one knew what it was. The accident closed down a key section of a major north-south highway that is heavily used year-round, but especially as Italyheads into next week's peak summer holiday travel period.